What is the impact of skills/knowledge on performance? In addition to the obvious that a person needs to know what to do and be able to do it, increased skill and knowledge on a task reduces the mental workload demands associated with that task. The Center has conducted numerous studies in the area, including defining the attributes of expert operators, identifying the cues used by experts, and developing methods to define operator mental models. 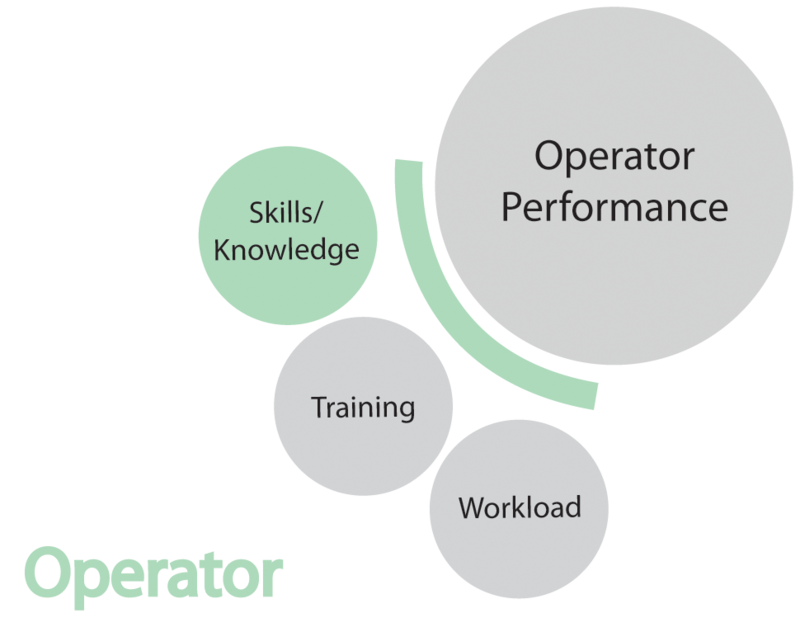 Can differences in operator skills be quantified? Do operator skills degrade with advanced control? How does qualifying for several jobs impact skill level? How often is refresher needed? How much variance exists in operator skills? How much faster can an operator who already knows one job learn another?